Over many years, I repeatedly hear that the ‘Apollo Root Cause Analysis methodology is only used for big, serious investigations.’ This statement always makes me smile – because it is completely untrue. An RCA using the Apollo Root Cause Analysis methodology can be performed on any problem, large or small, as long as the right facilitator is on board. This article, part 1 of 2, explores the strategies and processes a facilitator should keep in mind when an investigation proceeds. In my Apollo Root Cause Analysis methodology training classes, I always ask whether anyone is a certified facilitator. I’ve only received one ‘yes’ from the 2,000 or so students that have attended my courses. This sole person will have been trained in how to manage a group of different personalities; how to progress a group towards its goal; how to be firm and fair; and so on. Yes, these are valuable skills to learn. And, in an ideal world, every facilitator would have the time and resources to complete the training. But you can facilitate a Root Cause Analysis using the Apollo Root Cause Analysis methodology without this certification. The process – as laid out above in its basic format – may look a little daunting to someone who has never facilitated an RCA before. Particularly, if you are contending with other feelings – like being anxious in front of a crowd, or feeling responsible for the outcome. You will need to deal with these latter issues in your own way. What you can take charge of is finding a way to shape a group of disparate people into a highly functioning team, who share the common goal of reaching a solution. By following the steps below, you can prepare for a smooth facilitation process. Step 1. Familiarise yourself with the Apollo Root Cause Analysis methodology. 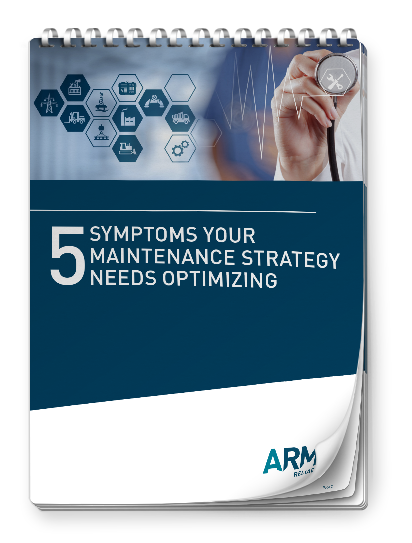 First, ensure you are familiar with the Apollo Root Cause Analysis methodology – after all, it’s what you’re trying to facilitate. If you need a review, the RealityCharting™ learning centre is a great place to visit to recap on the basics. Here, you can complete a simulated scenario to really fine-tune your understanding of the process. It would also be a good idea to review the facilitation guidelines in the manual that you received with your original training. It gives an excellent overview of the entire process. Step 2. Gather your supplies. Stock up on post-it notes – and get the good, super-sticky ones that will stay on the wall. We suggest that you use post-it notes instead of a computer to perform the analysis, as these help to enhance the common reality. With post-it notes, all participants can see what’s happening. If you think the analysis will take a few days, get multiple colours of post-it notes so you can easily distinguish between the changes to the chart created on different days or at different times. Ensure the room you’re working in has plenty of wall space. And, if the walls are unsuitable for post-it notes, tape poster paper to the wall first and then adhere your post-its. Using paper can provide the extra advantage of making the chart easy to remove and take with you. If it’s sensitive subject matter, you can roll it up and take it with you at the end of the day. Step 3. Prepare the participants. 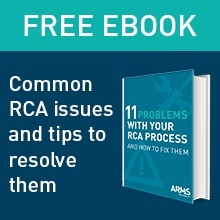 Ensure that all participants know what to expect before beginning an RCA. An RCA can require a significant time commitment, so make it clear from the outset how much time is needed from them. The more information you have at the outset, the smoother the journey. You may already have information at hand in the form of pictures, emails, reports, write-ups, witness statements, and so on. There may be some useful physical evidence. Request evidence from the right people, collect it and store in the one file. You may also choose to take the entire team to see the area under investigation, so that everyone has a clear picture in mind about what you’re discussing. Be aware that, no matter how hard you try, there will always be some missing information. This is not a problem. You can call someone, look it up at the time, or make an action item for someone to gather the evidence later.